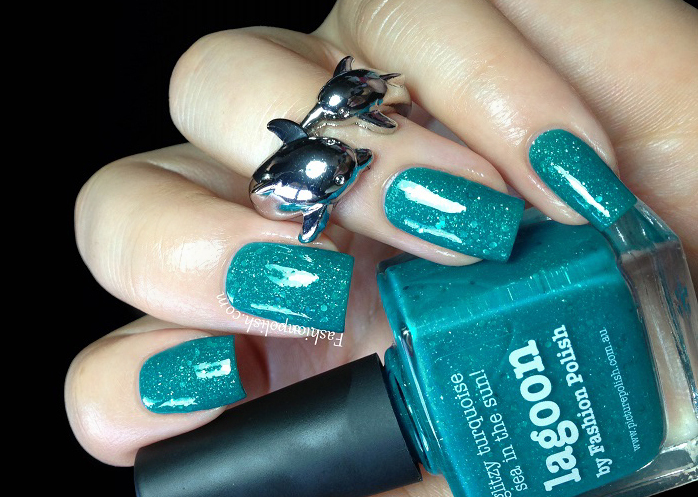 Fashion Polish: piCture pOlish x Fashion Polish = Lagoon!!! 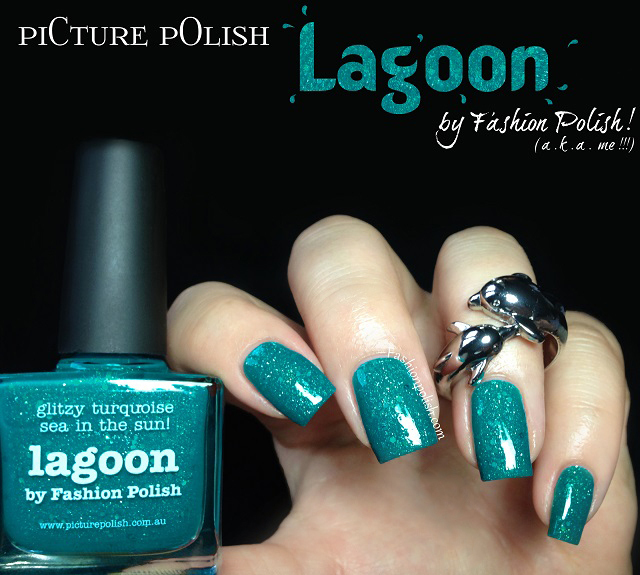 piCture pOlish x Fashion Polish = Lagoon!!! Wassup girls? Nothing new here... Oh wait! 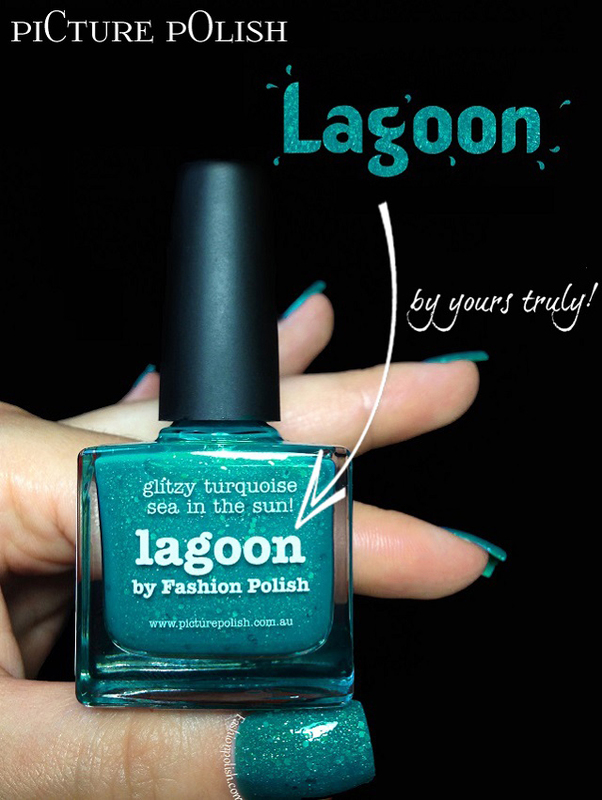 There IS something new : my piCture pOlish collaboration shade LAGOON!!! I had long been looking for the perfect turquoise, the kind that shines and flickers and is reminiscent of sparkling waters and tropical lagoons. That's the kind of turquoise I was aiming for. 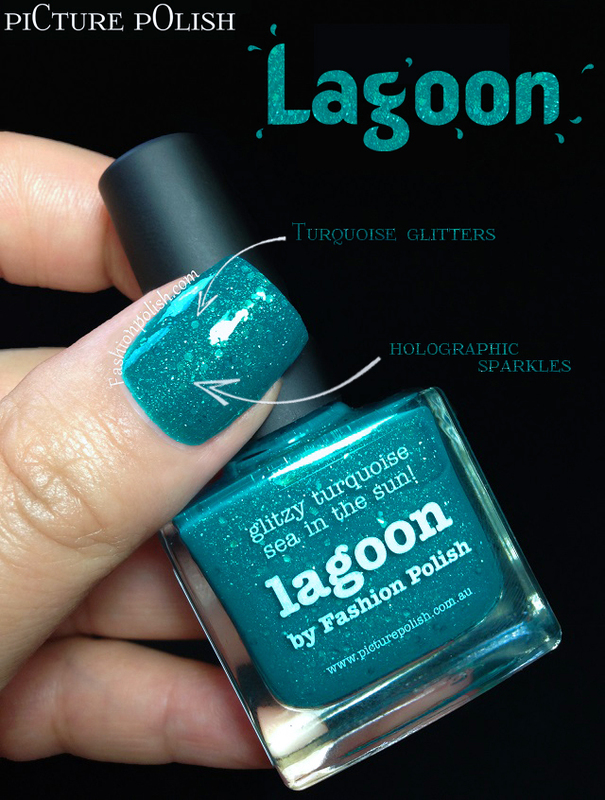 Well Lagoon is everything I had hoped it would be, everything I love about that particular shade in one square piCture pOlish bottle : bright and saturated, an ideal green/blue balance plus a mix of scattered holo particles and lots of turquoise glitters! A squishy jelly completely opaque by the second coat that catches the light beautifully! Now I must warn you, no matter how hard I tried, I just couldn't take 100% color accurate pictures : my camera kept making it look more blue and not as vivid as it should. It's SO much better in real life! So... What do you think girls? I can't tell you how ecstatic I am to have my own piCture pOlish! It's a dream come true and I can only hope that those of you who'll get it will love it just as much as I do. piCture pOlish Lagoon retails for AUD$12 and can be purchased directly from piCture pOlish.com.au or through their international network.